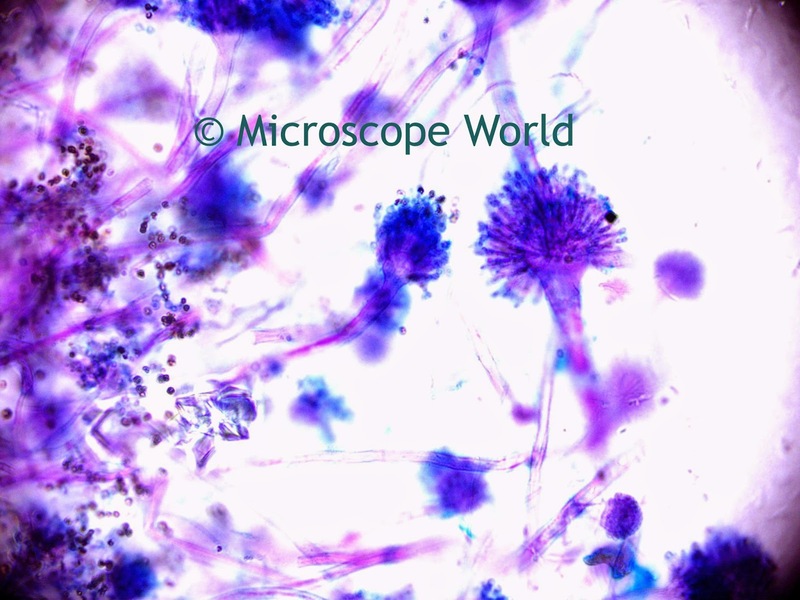 Mold is a fungus that grows in the form of multi-cellular filaments called hyphae. 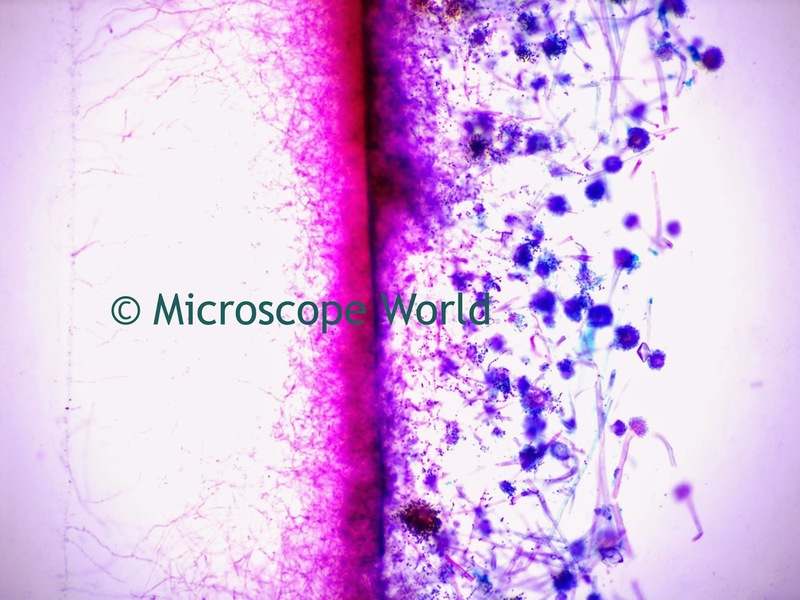 The best way to examine mold under a microscope is to grow your own in a controlled environment. Soft bread without preservatives in it is perfect for this experiment. Leave the bread in a warm area, such as on the counter for a day, then place it in a ziplock bag with a small amount of water. Place the bread in a sunny area. 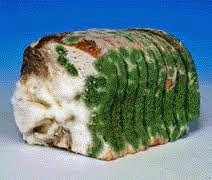 Once your bread is sufficiently moldy, wear a pair of gloves and put either a drop of water or a drop of Methylene blue (a staining agent) on a depression slide. Using a toothpick or a disposable knife, scrape some mold off the bread and place a small amount on the droplet of water. Cover it with a cover slip. Using a high power student microscope to view the mold, start with the lowest magnification of 40x and work your way up to 400x. Draw some images of your mold. Does it have a thin branch like structure? When you are finished with your project dispose of the moldy bread and be sure to wash your hands thoroughly.